We are pleased to announce that Issue 5 of the Open Arts Journal has recently been developed for publication as a book. The Caribbean, with its transnational diaspora stretching to all the shores of the Atlantic and beyond, is one of the liveliest cultural landscapes in the world today. It is also one of the most troubled. 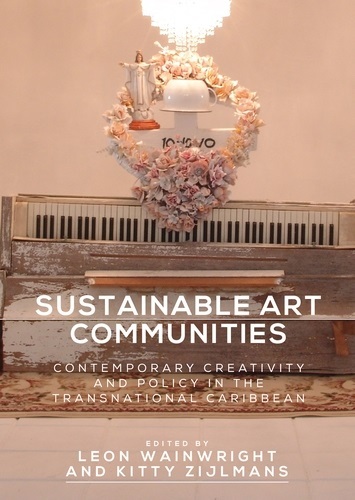 A major new anthology of material edited by Leon Wainwright (OU) and Kitty Zijlmans (Leiden), published this year by Manchester University Press, presents the contemporary perspectives on the challenges facing Caribbean communities and shows how the arts can play a crucial role in improving sustainability through a shared ground of experience, enjoyment and understanding. The book promotes the view that visual art in particular has an important contribution to make in enhancing the Caribbean’s networks and reﬂecting on the nature of its connections. It addresses a topic that spans the scholarly, artistic, curatorial and professional ﬁelds of art and heritage, exploring constructive comparisons between key linguistic regions – namely the Anglophone and the Dutch – and identifying new parallels and contrasts in global-local relations, capital, patronage, morality, sustainability and the beneﬁts of knowledge exchange. Ultimately, it makes the case for social justice in the arts within a complex and little-studied global geography. Sustainable Art Communities is a landmark collaboration between artists, policymakers, arts organisers, art historians and critics, drawing from such diverse settings as Jamaica, the Bahamas, Barbados, Suriname, Curaçao, the Netherlands, the United Kingdom, Germany and the United States. This exciting anthology is the outcome of a recent international project that explored how the understanding and formation of sustainable communities for the English and Dutch-speaking Caribbean and their diasporas may be supported by art practice, curating and museums — in a partnership between the OU and Leiden University, funded by the Arts and Humanities Research Council (AHRC) and the Netherlands Organisation for Scientific Research (NWO). You can read more about this project here. We are pleased to announce that Issue 3 of the Open Arts Journal has been developed for publication as a book. Throughout the world, legacies of war, colonialism, genocide and oppression return again and again to dominate contemporary culture. 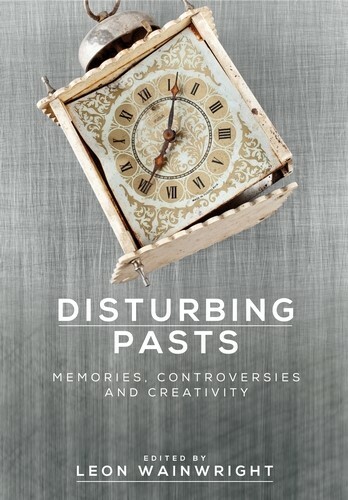 In this major new anthology of material edited by Leon Wainwright, published this year by Manchester University Press, artists, curators and academics come together to explore how such legacies can inspire creative approaches to remembering and challenging the past. Contributors begin with the idea that any meaningful encounter with the past has to be felt at a personal level, no matter how difficult an event may be to recall and represent. Recollecting stories of this kind is complex and sensitive, and the book demonstrates how the process can beneﬁt from the joint efforts of people from different ﬁelds, including professional art practices, art history and visual culture studies, social anthropology, literary studies, history, museology and cultural policy studies. The result is a detailed global picture that presents a variety of new approaches to confronting dominant historical narratives and shaping alternative interpretations. It gathers voices, histories and images from diverse contexts including South Africa, Germany, Namibia, the United Kingdom, Nigeria, Indonesia, the Netherlands, Poland, Norway, the Israeli-Palestinian conﬂict and Australia. Disturbing Pasts: Memories, Controversies and Creativity is the outcome of a Knowledge Transfer and Network Project, funded by the European Science Foundation through a partnership between the OU and the Weltmuseum Wien (Vienna). Read more about the project here.